Paul and Storm are an Arlington, Virginia-based comedic musical duo consisting of Paul Sabourin and Greg "Storm" DiCostanzo. They are best known for their humorous songs about geek culture and for amassing an internet fan base. They are favorites of Dr. Demento and regular radio guests on The Bob and Tom Show. 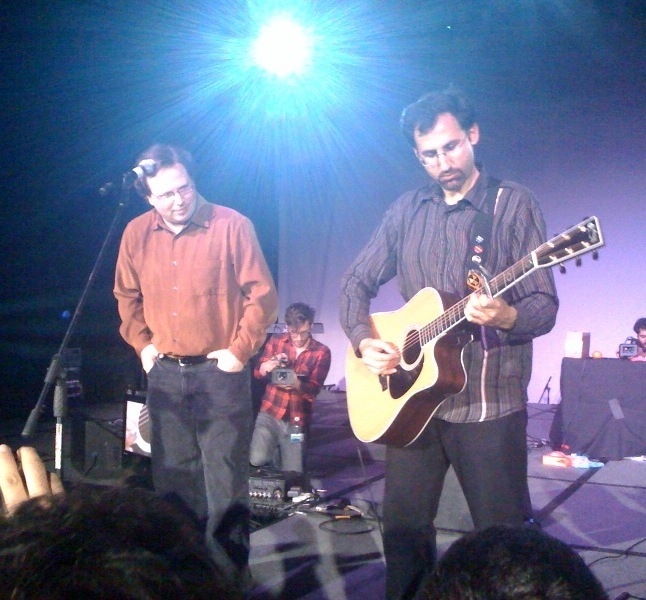 They tour regularly with Jonathan Coulton, singing backup vocals for a number of his songs. Coulton has also appeared on stage to do backup for Paul and Storm’s songs.